67 Days of Design Launched!!!!! 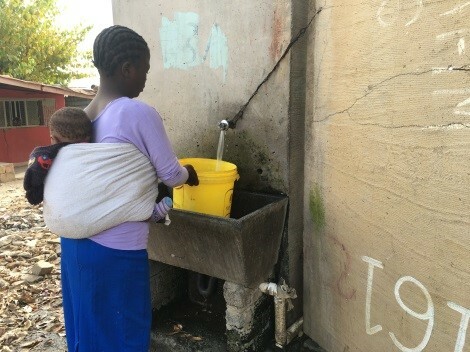 The 2016 Community Plumbing Challenge has proven to be an incredible success, with 8 brand new toilet units installed in the community and a wide range of design solutions created by the Autodesk Student Experts as part of the Fusion Design Hub to address a wider range of WAter, Sanitation and Hygiene (WASH) issues in Diepsloot. As the impact of the new toilets are felt by the local community we now look to challenge you all to produce your very own design solutions to address WASH outcomes and share these on the Design Academy as part of the 67 Days of Design, to celebrate Nelson Mandela Day. Nelson Mandela once said: “We can change the world and make it a better place. It is in your hands to make a difference”. We challenge each of you to create your own inspiring design that could help to change the world and make it a better place! Here are a few designs that were created as part of the Community Plumbing Challenge which are all addressing WASH issues, but please feel free to be as creative as you like to widen the scope of your designs; could you design a cost effective shoe solution for the children, could you help to address the waste collection and recycling in the area, is there a cost effective water filtration system that could be designed? Your options are endless and the number of projects that you can enter is open so you can really get designing!!! Here are just a handful of outcomes from the Fusion Design Hub at the Community Plumbing Challenge 2016. Various attachments to be connected to a tap via a standard hose pipe connection. Various ideas were created to enable the multi-use of the water supplies including a shower system, brush cleaning attachments to address the cleaning of the inside and outside of the toilet blocks, and a power wash system to connect to the rear of the toilet for cleaning of the basin. For additional inspiration on possible designs or to see how this design program could be delivered in your classroom, take a look at the new WASH Community Design Challenge Curriculum from Autodesk to see how you can truly make an impact through a real world design program for your class. Today, on World Youth Skills Day, I am very excited to bring a guest to the CPC blog. 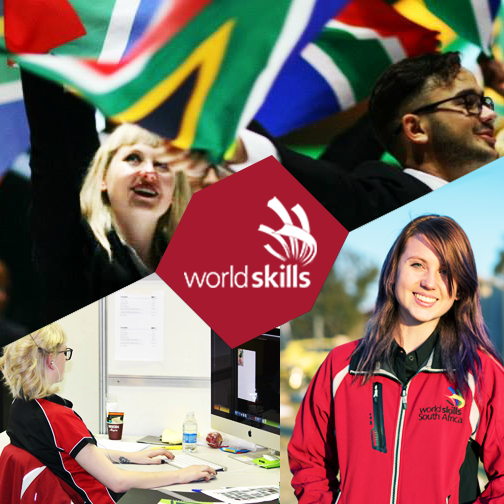 Please enjoy the story of how WorldSkills has helped one very talented young South African: Caiti Ward. Today is World Youth Skills Day. It is a day to celebrate the power of skills and support our youth in developing their talents. In the spirit of this day, I thought I would share my story with you. It is a story about World Skills. Though, the story began many years before I thought it had, and this revelation only occurred to me in this past week. As a South African, the visual of township life is a prominent sight and one that you are used to at an early stage of life. It was through my high school years that this visual became less of a visual and increasingly evident in my daily life. Every day, to and from school, I would drive past Diepsloot – one of the largest townships in the area. Diepsloot was renowned for violent crimes, drugs and prostitution, or so it appeared in media reports and gossip discussions. My high school provided me with the opportunity to decipher the truth hidden behind this façade. HeronBridge College, my alma mater, created numerous outreach programmes where we would work within the community and provide aid wherever it was necessary at that time. From building houses to renovating nursery schools and playing with the toddlers, I soon realised that the image I had of Diepsloot, that many others have still, is anything but the truth. Often, our intention would be to help the communities. Yet, the outcome would be quite the opposite where they were the guiding hand and educated me. From this vibrant community, I was humbled in learning new skills – both social skills where I learned to communicate with a community, or practical skills where I learned how to mix cement. My time in Diepsloot came to an apparent end when my tertiary studies took precedent on the opposite side of Joburg. I completed my Bachelor of Arts degree in Graphic Design in 2014 and my Bachelor of Honour’s degree in Visual Communication in 2015 at Greenside Design Center College of Design. Again, the theme of community work was omnipresent when each year we, students and lecturers as a whole, would spend two weeks working in numerous communities in our ’10 Percent’ programme. Our students consisted of graphic, interior and multimedia designers and we were tasked with using our specific skills combined in groups to find innovative solutions to local problems. Each member in a group would contribute in their own manner. Upon finishing the two weeks of community design work, our aim goal would be to leave the community with the skills needed to maintain production of their programme. It was my transition from third year in to honour’s that I received the news about World Skills. I was to compete in the South African National World Skills competition. After placing first, I moved on to compete in the international World Skills Sao Paulo competition in 2015. More than anything else, I was proud to represent my country and hold the South African flag high. With four intense days of competition, I was able to witness how the world’s best design youth work and think – an experience that still mesmerises me almost a year later. In addition, World Skills includes a day in the programme dedicated to ‘One School, One Country’. Every country is assigned a local school where we spend the day with the children and teach them about our skills, hopefully inspiring them and giving them the courage to follow their talents. South Africa was assigned Escola Estadual Odair Martiniano da Silva Mandela. Our two countries appeared as one that day. Communication was difficult as only a few students were able to understand and speak English, but through human-understanding, we were able to talk to them about our skills. World Skills Sao Paulo came to an end, but my work with World Skills did not. After working closely with Tayla Schou, our very own champion, I was chosen to represent World Skills at this year’s Community Plumbing Challenge. Where is this taking place? Diepsloot. I am back where I began all those many years ago. A full revolution, but this time, I have more experience and my skills have developed. Over this past week, I have observed the teams collaborating and innovating to find the best solution for the overwhelming severe sanitation issues in the community. At first, I did not know where my place would be. I could not comprehend how a graphic designer could contribute to a plumbing event in any manner that would actually be beneficial to the community and to all the organisations involved. However, with time, I found my place – providing social media presence to the event and highlighting the power of skills in a conversational platform. Though, there seemed to be more that I could offer. The ‘Wot If?’ organisation based in Diepsloot provides local entrepreneurs with the support they need to start a business. I have offered my skills to aid in branding their companies and creating their personal identity. This last week has taught me that you will always have a place to contribute and use your skills to create genuine social change within our world. The countries involved, although competing, were collaborative in their nature – knowing that the community’s needs were of highest importance. The work completed this week is extraordinary, and from a very personal place in my heart, I would like to thank everyone who has been involved. My journey with skills development and community work began before I thought it had. I guess it is something that was so intrinsic in my life that I did not recognise it until I had the opportunity to go back to where it all started. My journey and my contribution changed and evolved as you would expect it to when you grow older. Yet, one aspect has remained consistent over the past decade. When involved in these programmes, I have learned more from the communities than I could ever impart on them. For this, I am eternally indebted. 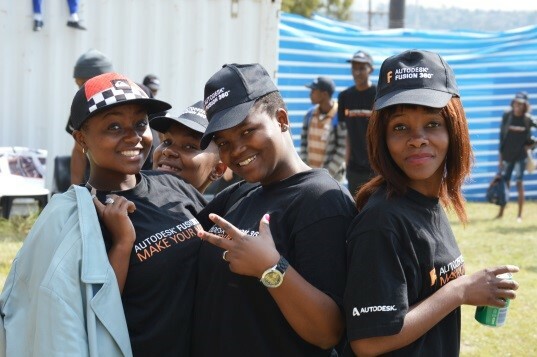 It is full steam ahead here in Diepsloot as the International teams work frantically to complete their toilet unit installations and the Autodesk Fusion Student Experts ensure that the designs are fully documented in Fusion 360. As well as the international teams working on the installation of their own team design they have each presented their complete design solution to the wider group which was a fantastic experience for all involved. It is incredible to see just how many different ideas were presented, with completely different approaches being taken by all 4 teams as to what they believe the best overall solution would be. Team Australia introduced an innovative door locking system, team India ensured that additional water access points were installed, team USA brought us a split toiler cistern design for ease of maintenance and team South Africa focused on sustainable design with the collection of grey water from the wash basins that would be recycled to flush the toilet. Overall the presentations showed just how incredibly talented this group of young people really are! One of the outcomes from the team presentations was to come up with one final collaborative design that each team would then take away and install in their 2nd unit. After discussions with the local community, and between all of the international teams, one final design solution was produced which the Fusion Design Hub are now working on to produce the final drawings for the manufacture of the required items. The main focus for the initial design work has been the door which needs to be manufactured from Mild Steel with a wide range of functionality including the complete hinging and locking systems. Having produced the final 3D model of the door design and subsequent manufacturing drawings it is fantastic to see the final solutions being produced by the international teams. The Fusion Design team have also been working on an exciting project which will integrate Fusion 360 into a full BIM workflow, utilising the data recently gathered from the Drone scanning that took place at the start of the week. As well as looking to visualise the team designs in situ in the township, the students have also started to work on a design for a new teaching/performance facility at the Wot-if centre where they are working this week which will offer a real world opportunity to show the full functionality of combining mechanical and product design within Fusion, with Architectural designs. Tomorrow the Fusion Design team will look to complete all of the toilet designs and renderings before they will then each be challenged to design their own hose attachment that will improve the lives of the community. The top designs will then be 3D printed so that the proof of concept can actually be tested on the new toilet systems to bring another new technology to the project! It was smiles all around as the international teams from Australia, India, South Africa and the USA began construction of their individual team designs for their toilet and sanitation facilities. Each team were given an old system from the township which they needed to renovate to be reinstalled. It was incredible to see the wide range of ideas that the teams were able to show, with various approaches to common issues such as access to clean drinking water, secure door systems, safe toilets and accessible water resources for a variety of uses. Each of the teams have just 1.5 days to complete the full construction of their facility which means all hands on deck as the Plumbers, Metal Workers, Engineers and Architects all worked side by side to ensure the deadline will be met. Teams were encouraged to also engage with the local culture and to ensure that the facilities embraced the local community as much as possible which meant colour certainly was on the agenda! As the international teams worked on the physical construction the Autodesk Student Experts, who form the Fusion Design Hub, worked alongside the designers from the international teams to bring their ideas to life using Fusion 360. The 14 strong Fusion Design Hub were split into the 4 international teams to ensure that each design was conceptualised. The day also offered the perfect opportunity to hear the stories of the Student Experts as they were each interviewed for the forthcoming highlight video of the event so watch this space! Another angle of the activities in Diepsloot focus on the introduction of various new technologies to showcase the positive impact that design can bring to the wider community. 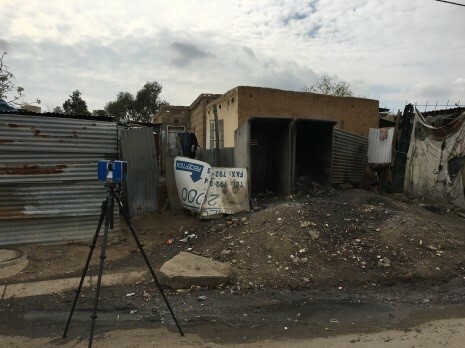 As part of this, working alongside Autodesk partner Modena, a section of Diepsloot was 3D Scanned using Drone technology, which certainly was a big hit with the community as for many it was their first experience of a Drone flying above their homes! As well as the incredible work that is taking place in Diepsloot it has been imperative to connect with the local community and we were all treated to beautiful performances from the local choir during a very hot lunch! The next stage of the project will see the final construction of the units taking place and the 4 international teams will collaborate with the local community to produce 1 final design concept for the units which the Fusion Design Hub will bring to life using Fusion 360! What do you get when you cross 4 teams of international young skilled Plumbers, Metalworkers, Architects and Engineers from Australia, India, South Africa & the USA with talented young designers from South Africa & the power of Fusion 360? The answer is simple: Inspiration! As the Community Plumbing Challenge speeds into action this highly motivated group of inspiring youth have begun collaborating on designs using Fusion 360 to renovate essential toilet and sanitation equipment in Diepsloot, Johannesburg, South Africa. Each of the 4 international teams have arrived in Diepsloot with their very own ideas on what design would ensure the maximum impact of the toilet units and working side by side the Autodesk Student Experts from the University of Johannesburg, Wits University and of course young designers from the Diepsloot community, these ideas are now being brought to life using Fusion 360 as they form the Fusion Design Hub. Each of the Student Experts have had intensive Fusion 360 training, delivered by Autodesk partner Modena, and now is their opportunity to put all of that learning to action. Once each of the team designs have been finalised the teams will then work together to produce 1 final collaborative design that showcases the very best elements of each of the initial design concepts. The international teams will then build 1 physical example of their own team design as well as 1 of the final collaborative designs. 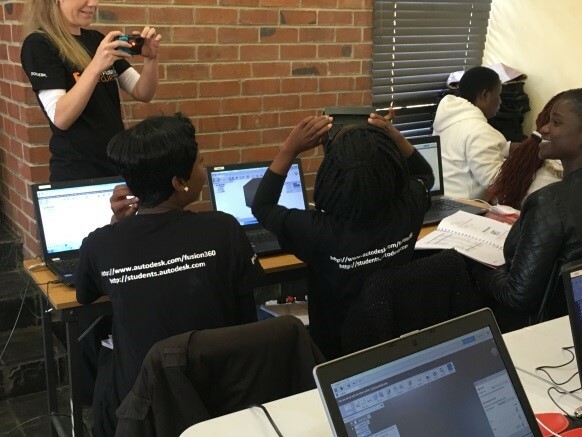 Autodesk Education Experiences (AEX) recently ran phase 1 of the Fusion Design Hub in the township of Diepsloot, South Africa. 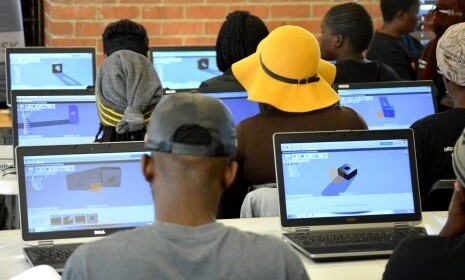 Young people from the local community came together with students from the University of Johannesburg for Fusion 360 training in preparation for the Fusion Design Hub Challenge that will take place as part of the Community Plumbing Challenge (CPC) from the 9th to 15th July to coincide with the UN World Youth Skills day which is a collaboration between WorldSkills, its partners and the United Nations. The CPC will offer the Fusion Design Hub the unique opportunity to work alongside international skills teams from USA, Australia, India and South Africa who will be tasked with bringing the design solutions to life through the physical installation of 14 new toilet units. 66 students participated in the Fusion 360 training camp. The focus of the Fusion Design Hub will be to address health and sanitation issues within the township, such as ensuring the community have access to safe, clean toilet and water supply areas, whilst considering the needs of the wide range of users. Students were blown away with the power of VR​. The students also gained exposure to the world of Virtual Reality and image capturing to help bring Diepsloot and the project to life! Diepsloot was brought to life through 3D Scanning. Over the coming days this blog will regularly update you on the progress of the project from Diepsloot, showcasing the incredible work taking place, and offering regular video news updates on the project, hearing first hand from the students and community members involved. In addition to the blog we encourage everybody to also follow the progress on Facebook & Twitter as we see how the power of Autodesk technology, and skills, can change the world around us. As a taster to what lies ahead with the project please take a look at this highlight video from CPC 2015. The design teams will now work on addressing real world design issues within their community​. Matthew Bell is a Global Strategic Partnerships Manager with Autodesk Education Experiences.